A large unit with both ground and first floor trading totalling 3,200 sq.ft previously traded as Job Centre Plus and we believe that the unit is DDA compliant. 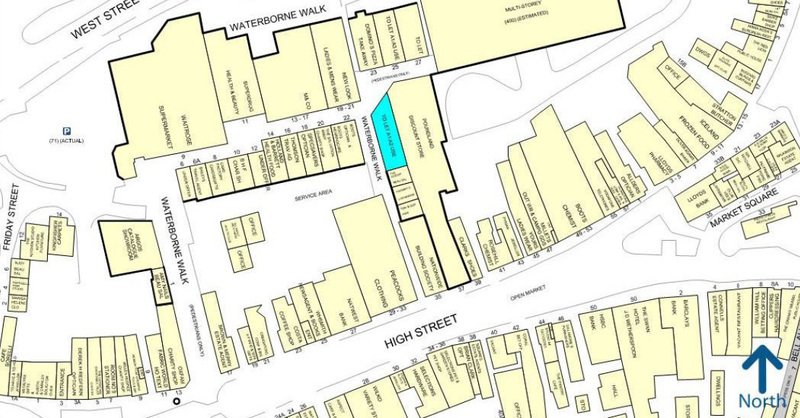 Waterborne Walk is a busy atmospheric shopping centre right in the middle of historic Leighton Buzzard. 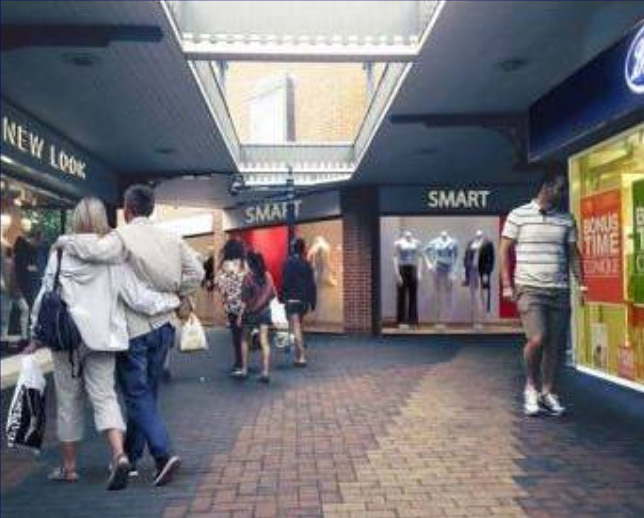 Traders include Waitrose, Argos, Pound Stretcher, Dominos, Card Factory, Spec Savers, Thomsons, British Heart Foundation, Holland & Barrett and New Look. Until recently the property has been the Job Centre Plus over ground and first floors. 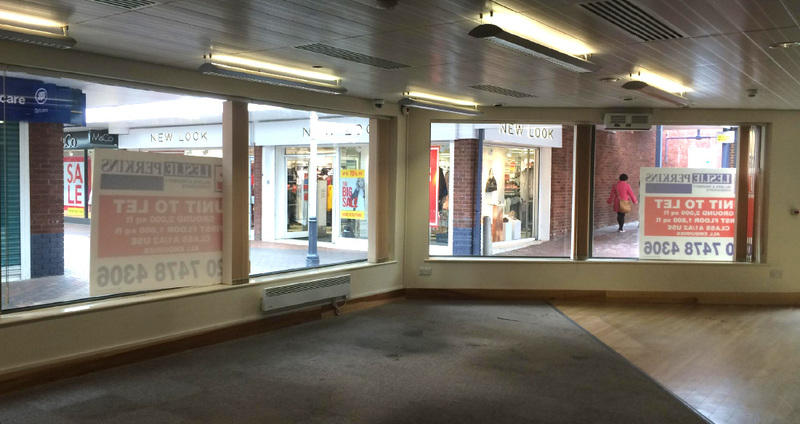 It is available to let for A1 retail but would also be suitable for classes A2, A5 or D1. Ground floor sales area are 1,400 sq.ft plus 1,800 sq.ft first floor available if required. Available on a new lease for a length to be agreed. Rent and terms on application. All interested parties should contact the Valuation Office Agency with regards the exact business rates liability for the property.